Last year when a certain snack company came out with different flavors for potato chips, I could not restrain my glee when they offered a Chicken and Waffle chip. I hurried down to the store and bought a bag and ran back home to share with Hope. I was so disappointed when it turned out to be a sweet offering and not savory. To us, chicken and waffles is a savory gravy event. Last weekend during the big chill, we made a batch of Chicken and Waffles to keep the frosty temperatures at bay. 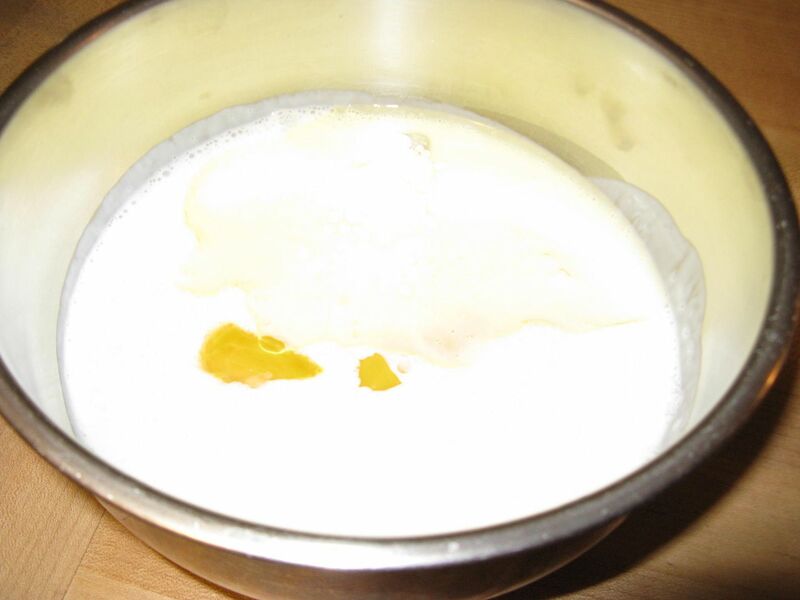 First, I poached a small fryer and froze half of the broth for use later. The other half of the broth I reserved for my gravy. 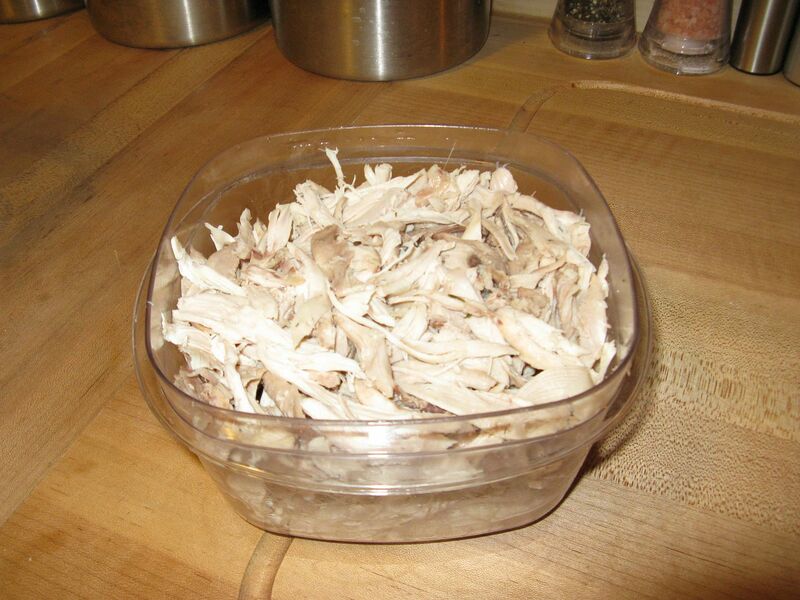 Hope removed the chicken from the bone and shredded for incorporation into the gravy. 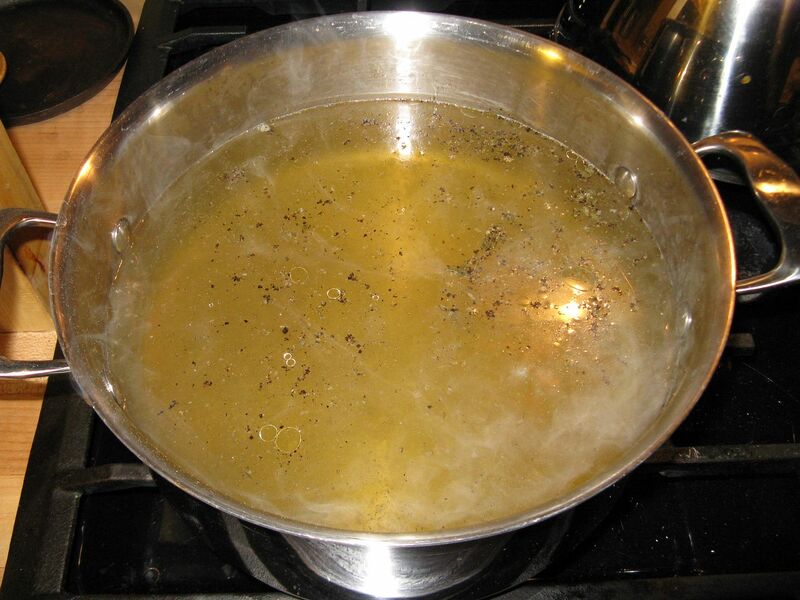 I heated the broth, about 3 quarts, seasoned with salt and pepper to taste, and brought to a light boil. 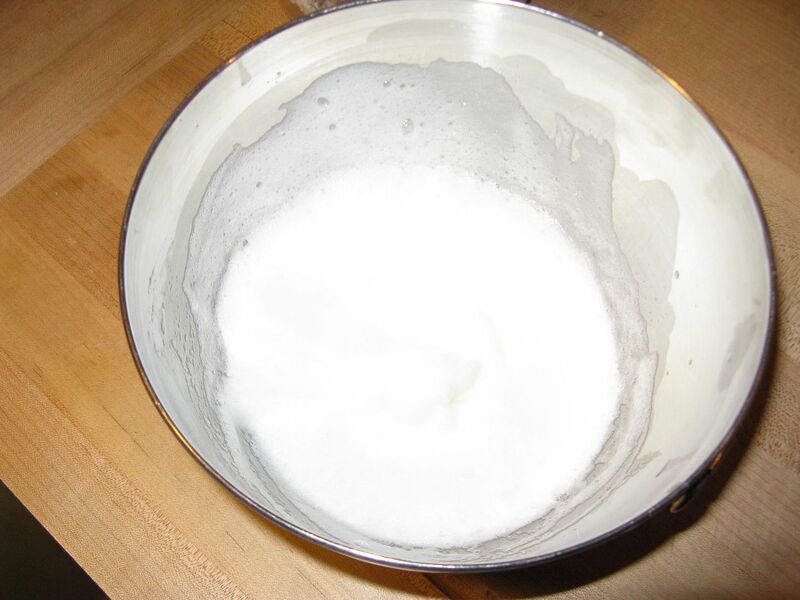 Then, I added a mix of 2/3 cup of flour and enough milk to make it flowable. I slowly poured into the simmering broth while whisking. 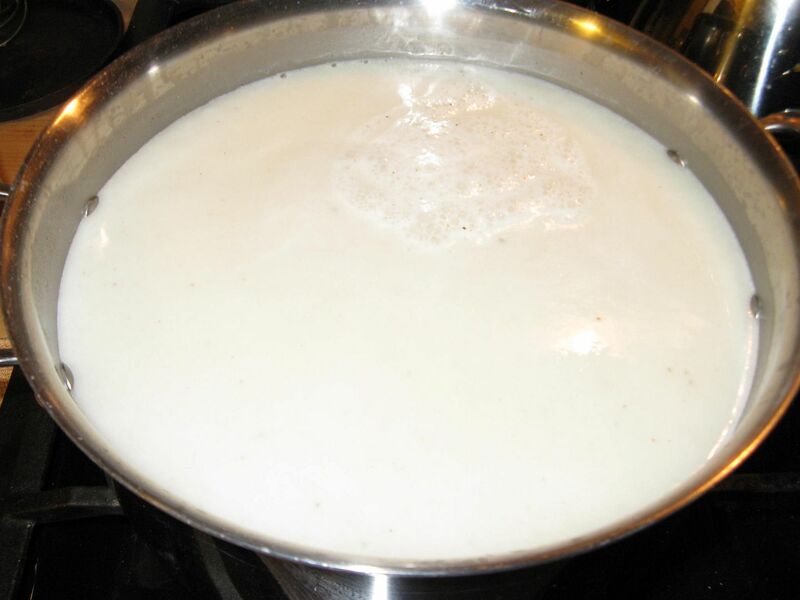 Then, I simmered the gravy until thick, whisking every 15 minutes or so. While this was going on, Hope whipped up the waffles. I don't have the exact recipe that she used. I believe it was the Buttermilk Waffle recipe from Fanny Farmer. 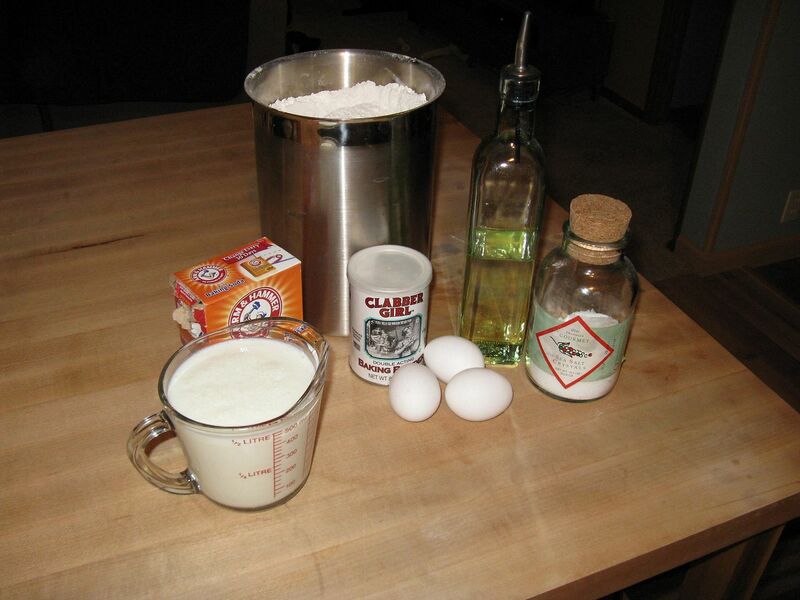 I have used this recipe many times with good results. I just leave out the sugar for a savory waffle. 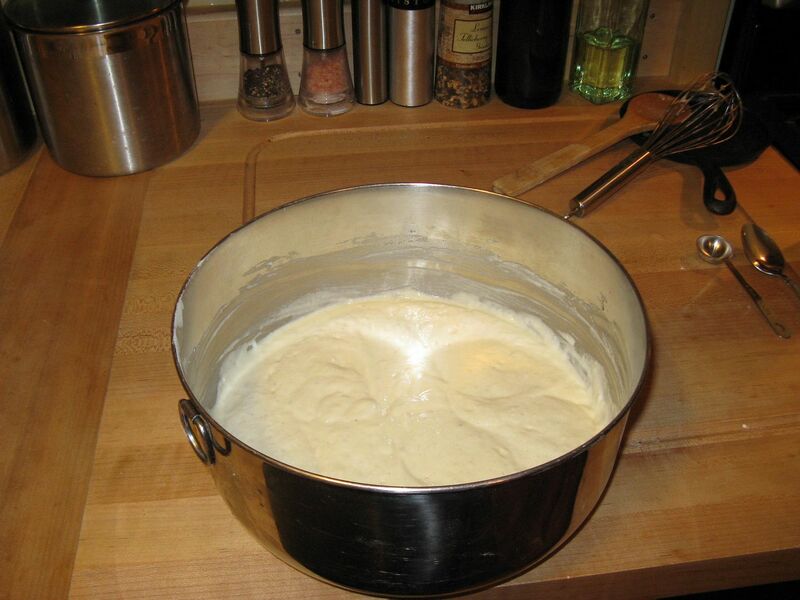 Basically, you mix your dry ingredients, then add to your wet ingredients, finally finishing the batter by folding in some egg whites whipped until stiff. 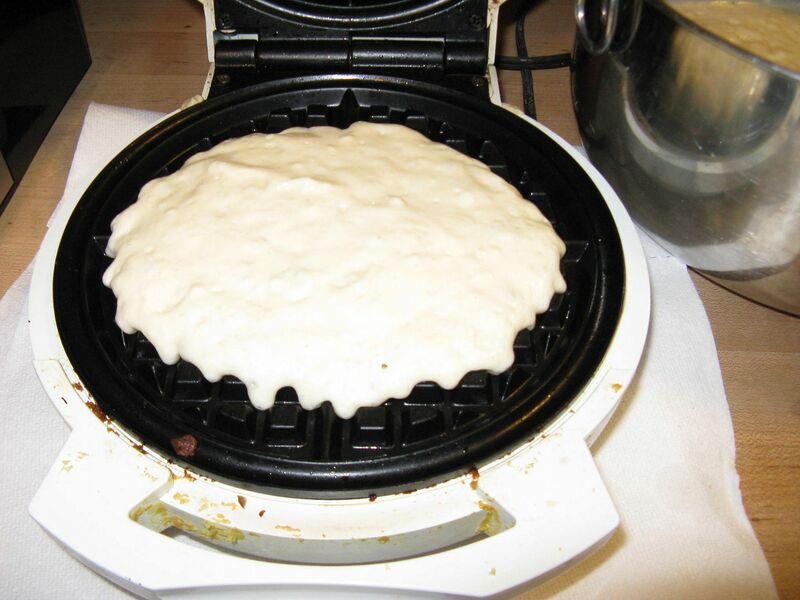 Into the waffle iron we go. 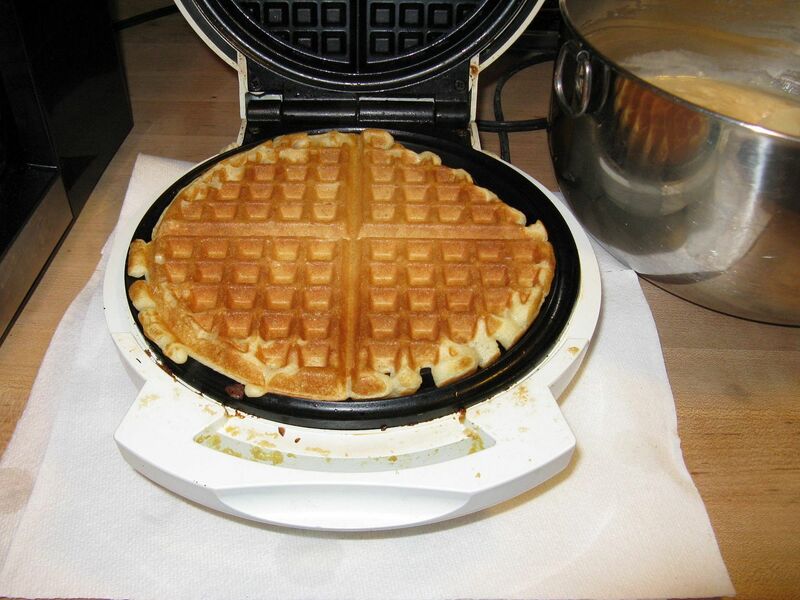 A perfect, crispy, savory buttermilk waffle. 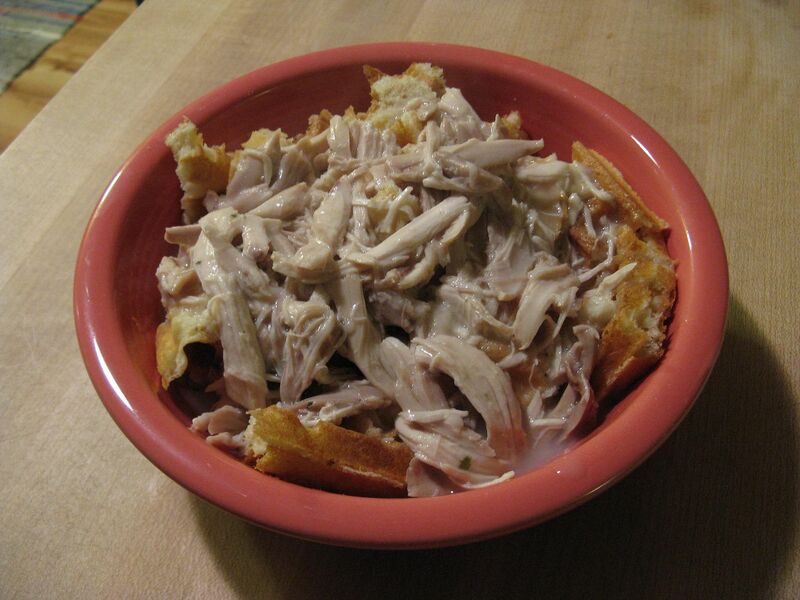 While the waffles were cooking, I added the shredded chicken to the gravy and let it warm up at a simmer for about 10 minutes. I serve mine in a bowl with peas on the bottom, then I place a pulled apart waffle on top of the peas. Finally, I ladle the chicken and gravy on top. Savory, rich, and most importantly, it sticks to your ribs on a cold night. Doritos makes a habanero chip that is a big disappointment. It is almost sweet. Go figure. That chicken and waffle would go good on this cold rainy Super Bowl day. Yes we actually have some rain today. Much needed. The only other Dorito that is ok is the Ranch flavor. But, original for me. I hope you keep getting rain. On Tuesday we are supposed to either get 1 inch of rain or 8 inches of snow. Everyone wants snow so we don't get flooded. You can't get any more Southern American than this Gus. Give it a try!